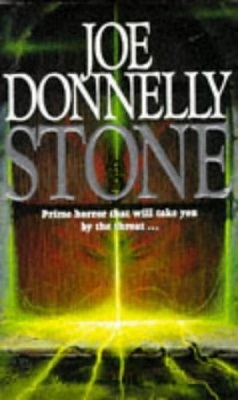 Stone is set in Scotland. It’s a story about a family that moves into an old house. The move to Cromwath House is necessitated when the head of the household, Alan Crombie, gets a new job and needs to move up to Scotland to be near to his work. The Crombies had been living in Guildford, but Alan is a Scotsman by birth so for him the move is also a return to his roots. Alan’s wife, Helen, has had mental problems in the past and he hopes that the new environment will do her good. At first, she is not keen on their new home but soon grows to love Cromwath to the point of obsession. The Crombie’s son Tommy also likes the house. So do his twin sisters. It’s a big house and there is plenty to explore. Unfortunately, it also has its fair share of secrets and dark forces are at work within its old stone walls. There is a lot to this story. It’s quite complex and very well thought out. If you like tales about haunted houses and stone circles, you will probably enjoy reading Stone. Most of the characters are easy to like and I was particularly taken with the twins and Old Mrs Macphee. The twins run hand-in-hand through the story right from the start, but you have to turn quite a few pages before you meet the old lady. She’s worth waiting for though, and quite a heroic figure. Lots of strange things happen throughout the book, but there are reasons for everything and, chapter by chapter, the reasons become clear and it all makes perfect sense. I read the paperback version of Stone and it was a little over 500 pages long. A stronger ending would have been nice, but it’s still a very enjoyable book. However, if you are looking for a more traditional haunted house tale, you may want to consider reading Hell House by Richard Matheson, or The Haunting of Hill House by Shirley Jackson. Alternatively, if you want a more unusual haunted house story, from the other end of the scale, I can highly recommend The House Next Door by Ann Rivers Siddons.